The Municipal Employees’ Benefit Trust (MEBT) currently diversifies its assets among fifteen different investment managers. 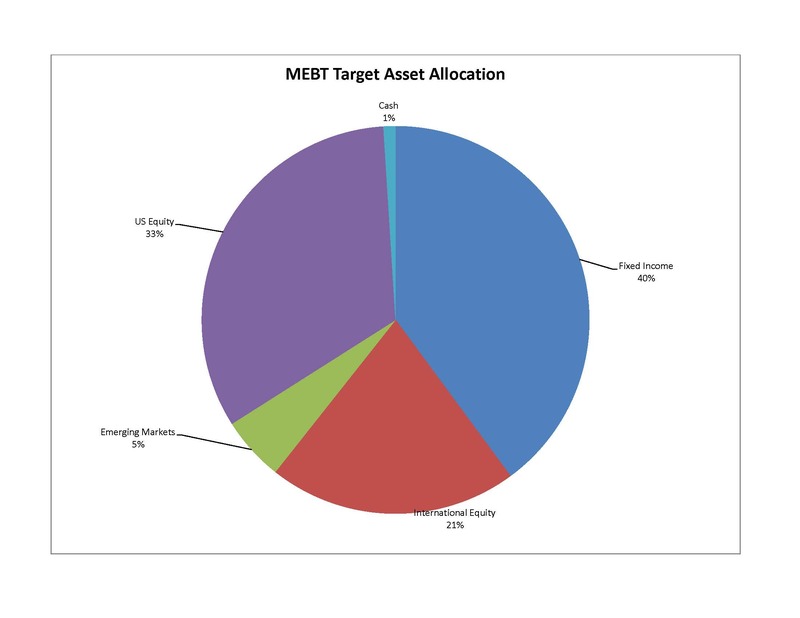 The Trust's disciplined approach to investing is established by the MEBT statement of Investment Policy. This policy establishes the percentages to be allocated to each of the major investment categories, including 34% US equities, 24% international equities 32% fixed income and 10% liquid alternatives. The primary objective of the managers is to produce returns comparable to or better than the appropriate benchmark indices for each manager, while at the same time, attempting to limit the volatility of MEBT's returns.